You must be either planning your Website traffic generation strategy, or may already be in process to implement your existing plan. You may already be aware of your traffic sources, or may be wandering the right source of traffic for your Business website, E-commerce store or any other web portal. Today, a majority of people are aware of Search engine optimization tactics, role of Social media in traffic generation and the benefits of Articles, Blogs and Media syndication through various channels. However before starting any traffic generation strategy it’s important to understand where our target customers are actually available, and what are the most critical activities to engage right traffic? – From various researches it is well stated that more than 90% users actually comes from Search Engines, out of which more than 70% clicks on Organic search results. Whereas paid ads receive relatively very less response. – Are you aware that Bots also count in your daily website traffic, sometimes almost 10% of total traffic? Some bots are good but some may affect your paid advertising. These bots are known for clicking paid ads and you may loose your money for every single click. When planning your advertising campaign, make sure that your publisher has all infrastructure for stopping or tracking these notorious bots, otherwise you may end up paying for something that’s not a profit making traffic for you. – If your target customers are just “Men”, then you can find them more often on gaming websites, websites for some pranks, dating websites, or sports news websites. Facebook & twitter can be exceptions. 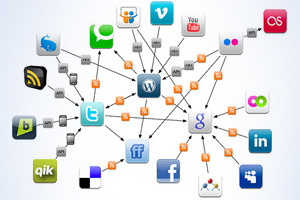 – Women are more tend to visit Social networks, beauty tip websites, Home making, child care and health websites. – If you are targeting old age group people, you can find them on News Websites, Health Websites or Websites with some spiritual & motivational content. Using social media activities is not much common in old age. Create profiles on all major social engines. Keep your website content fresh and updated. Write at least one blog per week. The more engaging content you write more traffic you will attract. Don’t forget to add Social sharing buttons on your website. – We all should know that Content is King, and website’s interactive content is more important than website’s look and feel. That’s absolutely correct, however never undermine website design. A website with engaging content and beautiful, authentic design tends to attract more traffic. The tips offered above will guide your planning in right direction, and will open doors for exploring other traffic opportunities. It’s always critical that you know your customer, and what they do on internet. If you closely track their activities you would always be able to get more and more traffic through Search engine optimization and Social media promotion activities. If you need help in generating website traffic, and looking for a leading SEO company, you can contact ArohaTech. ArohaTech is the leading search engine optimization company, offering services for SEO, Social media optimization (SMO), Traffic generation & Lead generation through paid campaigns. It also offers end to end services for Website Design, Web Portal development, E-commerce Development. You can also hire SEO Expert team, Dedicated Web Developers, Web Designers and PHP Developers.